L'article a été vendu.Cet article a été vendu pour CHF 202.00. 100% legit - von yeezysupply.com am 27. Oktober 2018 gekauft. Der Tag der Veröffentlichung. Nur wenige Male getragen und trotzdem in sehr gutem Zustand. 9/10. Inklusive Originalbox und wird doppelt verpackt versendet. 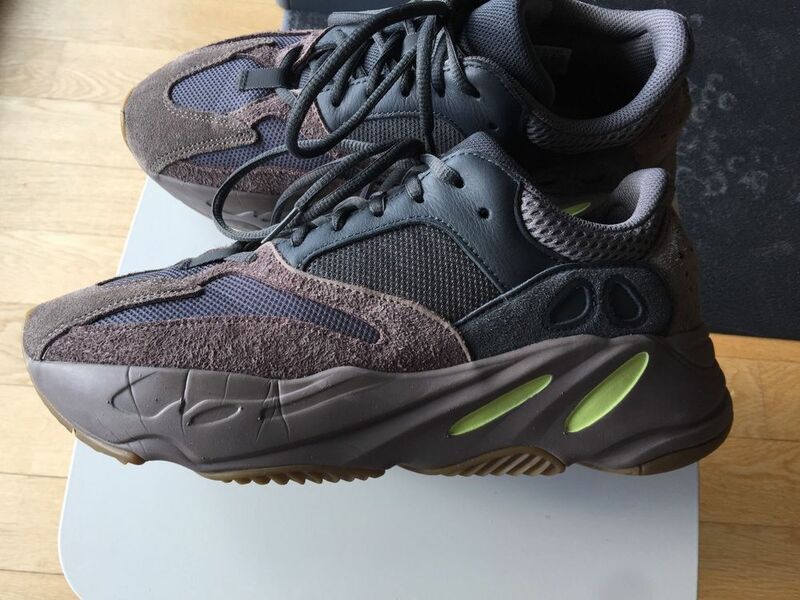 Am Ende der Auktion werde ich auch die Originalbestätigung von Yeezysupply weiterleiten. Bieten Sie mit Zuversicht. Bitte sehen Sie meine anderen Auktionen, danke! 100% legit - purchased from yeezysupply.com on 2018, October 27 The day of released. Only worn a few times, and still in very good condition. 9/10. Includes Original Box, and will be shipped double boxed. At the close of the auction, I will also forward the original receipt from Yeezysupply. Bid with confidence. Please see my other auctions, thanks!